It's good to have a pretty website. Just don't make it all form and no function. Visitors need to be introduced to who your company is and what they do immediately upon entry. Later than that is too late -- most won't poke around to find out. When visitors enter your site for the first time, is it instantly apparent who you are and what you're about? Compelling hero images and trendy fonts are great for attracting the eye, but what you're after here is a loyal customer. If the visitor is left guessing who you are and what you're there to do, don't expect them to linger long enough to find out. They'll just mosey along to one of your competitors who actually did bother to make their message clear. Discuss a balance with your Drupal website designer when it comes to an attractive design and a clearly stated message. When people first enter a website, they aren't sure if your business is one of the Michigan websites just down the street, or if you're located in Bangladesh or Belgium. Put your contact information front and center, including a physical address. This instills confidence in your visitors. Also, if at all possible, include a phone number that a real person answers. More people will do business with a website if they know they can actually get in touch with the company if they need to. Warner Brothers' mousy little character Speedy Gonzales had a brilliant take on smart website design. His incessant demands of "Ándale! Ándale! Arriba! Arriba!" are translated, "Go on! Up! Up!" This is a good website design philosophy. If your website takes more than a couple of seconds to load, you're already losing customers. Google has some important recommendations for PageSpeed and reducing website load times. Images should be lean, audio and video shouldn't play until the user starts them himself, and the text should be loaded by the time the reader's eyes focus on the page. Do you think there's a cuter way to say "Home page" or "About page" or "FAQs"? Well, there isn't. Visitors who are looking for information aren't impressed with creative alternatives to the navigation terms they're used to. They simply want to be able to find the information they need. Don't make it hard, or they'll be off to your competitor's site before you can say, "Ándale! Ándale! Arriba! Arriba!" Don't expect everyone can see as well as you can. Consider your older reader, those with astigmatism, dyslexia, and other conditions that make reading more difficult. Use high contrast and other design styles that are easy on the eyes. Some trends need to be missed out on. Music or advertisements blaring in the customer's ear as soon as they enter the site. Be careful to skip out on web design trends that are create a difficult user experience. Low-contrast dark gray writing on a light gray background. A storyboard style homepage that nobody can figure out how to navigate (and offers the reader positively no real information, just a lot of pretty pictures). All of these trends do nothing for your website design except to alienate and frustrate you readers. Instead, use the power of Drupal to build meaningful displays of relevant content for each audience. Think of the way your users access your site. If they've been working in relative silence for some time, or if they're working quietly in a crowded office, a sudden, blaring noise is startling, unsettling, and potentially infuriating. Making it hard for visitors to read by using low-contrast text (or worse, reverse type with light text on a dark background) just makes them want to go somewhere else to get the information (and products). A slick-looking storyboard homepage might garner a few nods at some design awards ceremony, but it won't deliver in terms of return site visitors. Be smart about the trends you adopt in your Drupal website design, and remember that 508 accessibility standards matter. 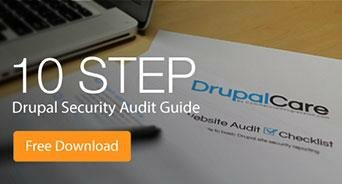 Could you use more guidance in your Drupal website? Contact us today.